Why Did God Send Jesus To Die? Was It Necessary? Was it really necessary for God to send Jesus to die for sinners? Why couldn’t God just forgive sin? Why exactly did Jesus, Who is God, have to die? When Adam and Eve sinned, we see that God had to clothe them but it took the death of animals to cover them which is symbolic of the coming sacrificial system for Israel and ultimately, of Christ Himself. This is mentioned in Genesis 3:21-23 where “Adam also and to his wife did the LORD God make coats of skins, and clothed them. And the LORD God said, Behold, the man is become as one of us, to know good and evil: and now, lest he put forth his hand, and take also of the tree of life, and eat, and live for ever: Therefore the LORD God sent him forth from the garden of Eden, to till the ground from where he was taken.” This is the first sign that sin results in death and sin necessitates a sacrifice. The wages of our sins is death…eternal death. That is the bad news. The good news that follows is that eternal life in Christ is free! You couldn’t earn it; otherwise it wouldn’t be a gift. The fact is that you could never, in a million lifetimes, earn eternal life by good works. Why? It is because every one of us has “become like one who is unclean, and all our righteous deeds are like a polluted garment. We all fade like a leaf, and our iniquities, like the wind, take us away” (Isaiah 64:6). The fact is that God knew from before creation that Jesus would have to die for humanity. God cannot just sweep sin under the carpet. He is too holy for that. God can not even look at sin. This is why the Father had to look away when Jesus hung on the cross because He cannot even glance at sin…even for a moment. If God could just simply forgive sin, then why would He see the need to send Jesus as the Supreme Sacrifice for all eternity? God can not err; He would not make such a costly mistake. The fact is that God knew from before creation that Jesus would have to die for humanity. Peter understood that “He was chosen before the creation of the world, but was revealed in these last times for your sake” (1 Peter 1:20) and that Jesus was “the Lamb slain from the foundation of the world” (Revelation 13:8). Since God knew mankind would fall, even before they were created, the plan was to redeem them…long before earth even existed. Can we now understand why Jesus had to die for humanity? God foreknew those whom He would call (Ephesians 1) and planned Jesus’ sacrifice from long before mankind sinned (Revelation 13:8). If it was possible to redeem mankind any other way, then why was it necessary for Jesus to have to suffer such an excruciating death and suffer for hours and hours in agony on the cross? It must have been necessary, otherwise God the Father made Jesus suffer and die for nothing! Clearly, it was necessary for Jesus to come and die to redeem us. Jesus Himself said this in Luke 24:25-26, “O foolish ones, and slow of heart to believe all that the prophets have spoken! Was it not necessary that the Christ should suffer these things and enter into his glory?” The answer is clearly yes. We are left with only two choices. We must pay for our own sins and do so for all eternity or we must throw ourselves at the mercy of God and repent, confess our sins, then trust in Christ. In the latter and exceedingly better, we are freed from the death penalty. All of humanity who will not trust in Christ is sitting on death row right now. How important it is then to share the gospel of Jesus Christ with a lost and dying world? Why would we be shy or hesitant knowing the eternal fate of anyone who steps out of this life without Christ? We are either God’s children and freed from sin’s penalty or we are children of the Devil and slaves to sin (1 John 3:9-10). There is no neutrality in the plan of salvation. As I have heard said, He paid a debt He did not owe for a debt we could not pay. What awesome news that through Jesus’ “death He might render powerless him who had the power of death, that is, the devil, and might free those who through fear of death were subject to slavery all their lives” (Hebrews 2:14-15). I’m a big fan of your work as i’m sure many more are but I do have a question. I have became a Christian in the last 6 months but maybe like yourself I have many good honest members of my family and friends that don’t believe or are sceptical, basically I like to think these people I still love and admire if more good than bad are still going to make the grade of eternal life and not ‘die in their sins’ because they didn’t believe and take up their cross so to speak..Is this wishful thinking or am I correct in thinking non believers will still be shown love and mercy come judgement day?..not an easy one to answer I know but a bit clarity and peace of mind for others salvation and not just mine would be comforting, thanks. Hello Mr. Hassan and thank you for caring enough about those who are not yet saved. I believe it is wishful thinking and your heart is aligned with God’s in that He desires no one to perish but if we can get to heaven by being more than good then why did Jesus have to die? To see why “good people” are not good enough to go to heaven, I strongly urge you to read this article called “Who Goes to Heaven? Do Good People Go to Heaven?” The Bible is clear that not one of us are good, no one is righteous and our good deeds are like filthy rags before God. So we can only share the gospel and tell these family members or friends that being good is not good enough because God expects perfection but we can have that perfection in God’s eyes by Jesus alone (2 Cor 5:21, Acts 4:21, Acts 16:30-31). If there was any other way then Jesus would not have had to die at Calvary such a horrendous death and suffered for so many hours during the passion and scourging and torturous hours on the cross. It always amazes me when I ponder the fact that God loves us enough to save us. He didn’t have to do that, He chose to. 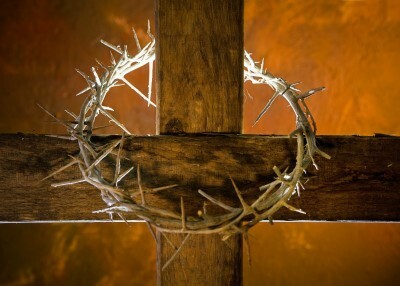 And He did it in a way that shows how much He loves us…Jesus’ crucifixion was terribly painful, emotionally and physically, but He endured it for us. It is utter foolishness to not worship Him as we should. Thanks again, Jack. That’s a great point Robert that I should have brought out so thank you for that insightful comment. Amen….why not worship He which is so much more than we? Thanks brother. Thanks for your rapid response Jack I read the article you linked me thanks. See the way I was thinking was (and others please chip in to add to this)..There are people out there who work very hard, stay faithfully married, raise their kids well/give to charity with no selfish motives BUT they don’t mark themselves a Christian/attend church/pray. I guess I just struggle to think these people efforts are in vein because they didn’t believe in Jesus but still had workings of the holy spirit within themselves, If people out there can dig deep to be Christ like without being Christian, surely God will still acknowledge this person because they connected with the Holy Spirit and would cut them some slack No?.. I see that this is hard for you and for many for that matter, even among Christians but to be a Christian, and the world means, to be a “little-Christ” or Christ-like so you can not be a Christian without having repented, confessed your sins and trusted in Christ. Jesus Himself said the way is narrow and difficult and few there be that find it and He is the only way to the Father (John 6:44). You can not be Christ-like without being Christian or born again (literally born from above in John 3:3). It’s funny because me now in comparison to six months ago alone is a huge difference..things I never thought twice about in the past seem to have became a culmination of small changes that have made me feel like a better version of myself and closer to what God is all about…I do worry about the unsaved Jack but I guess you can only state your case and try and set an example of living because for some people we are their bible, here where I live in north east England there are only 4,5 people under 30 yrs old who are christian and attend church, it seems like more and more young people are chasing the short lived thrills of getting drunk and prioritizing money/job status and it’s scary to think people don’t know what they’re doing..shrug, thanks for your time once more, God bless. Mr. Hassan, I thank God for you my friend that you are even care about witnessing to lost people for God surely doesn’t want any to perish but all to come to saving faith in Christ and so you have a heart like God’s for the lost. I am a bi-vocational pastor and am heading off to work but let me say that I am glad that there are men like you who care for the lost and maybe this is God’s way of telling you to help in rescuing the perishing. If you type into the search box about witnessing or evangelism you can find many ways to share the gospel in the hopes that some may be saved. Thank you Jack. I don’t know anything specific about a New World Order and who or what will be involved. The Bible does not expressly mention the specifics but I do agree that there are probably things going on behind the scenes that we don’t know about but the good news is that believers have nothing to worry about but for those who have yet to trust in Christ, they have plenty to be concerned about but of course, they are blind to what is in the Bible and so all the more reason to share the good news before the bad news happens. Thanks Jack. Well, Jack, the name “New World Order” and the agenda it pursues is quite reflected in the Bible, but more precisely as the beast or the Antichrist, if you want. The world may call it whatever they like, but the Bible is clear, that a world power will rule in the last days, during the time of trouble as the world as never seen (see Daniel 12:1 and Matthew 24: 21, 22). Thanks Jack H. Yes, you are always a big help. Even Jesus said “watch therefore, since you do not know what day or hour the Lord comes.” Have a good weekend brother. I used to be a big 50 Cent fan now I pray for him..
ps. Don’t forget to leave a comment! Jack I can tell you’re a good holy man and thanks for your time and I don’t want to get into an argument but I have to personally disagree with one of your points because I feel quite strongly on it. See to me when Jesus said ‘I am the way, the truth, and the life: no man cometh unto the Father, but by me’. I feel that he spoke this meaning if people act in life like I am showing you while I’m here on earth, loving, righteous, caring, they can be saved. Not the only way to the father is by strictly BELIEVING in me, God’s a loving God, why would he send people who lived their life like Jesus’ to Hell?. That’s just not who I understand God to be. Thank you Mr. Hassan. Then what do you believe about Acts 4:12 after Jesus’ was resurrected and in heaven? What about Acts 16:30-31? What about…dozens more? Romans 10:9-13? etc? Jesus is the ONE and ONLY way to heaven Oprah Winfrew believes there are many paths to God and this is so unbiblical that I don’t even want to address it. If Jesus is not the ONLY way, then what other ways are there to God the Father and the Kingdom of Heaven if not thru Jesus? Tell me which other ways there are to heaven if not thru Jesus? Thanks for your response I looked into the passages. So Jack basically in your eyes unless this life is lived by both faith and works, it’s hell?…think about that…all the many people who are naturally so selfless and generous in life and even those people not in the know out in the wilder remote parts of the world that just don’t have access to Christianity because of their lifestyle and surroundings?. If Hell for these where’s the love God is meant to have in abundance?..some people haven’t went their own sinful ways they just haven’t became a Christian. I’m not for a second dumbing down the sacrifice god made for us as Jesus Christ but what Jesus said and what a man was inspired to write as part of the bible aren’t the same. Jack I’m a straight man, but when I read other things by so called Christians living not 3,000 years ago but now like ‘homosexuals go to hell’ I truly believe the people proclaiming things like that are the ones more likely doing that, Homosexuality for example represented something bad and unrighteous in that era, there was no commitment/protection it’s not like today, when people are committed in that way with love, plus it has been proven homosexuals are born with that natural urge, just like you and I for women, If we condemn good honest people to Hell when we aren’t God what have we become?, no better than a Pharisee or religious leader of Jesus’ time, and look how they treated him, What would Jesus do?.. Not half the things people seem to think because they’ve clung so tight to the bible they’ve forgot to see beyond the words. I am not condemning homosexuals my friend. The Bible is clear and God says that He changes not. Do you believe these Scriptures were just for the day they were written? God says this, not me. If you are picking and choosing what you want to believe then you are not taking what Paul wrote in 2 Tim 3:16-17 “All Scripture is God-breathed and is useful for teaching, rebuking, correcting and training in righteousness.” None are good but we can receive Jesus rightouesness (2 Cor 5:21). Christians are not sinless…but they do sin LESS> You said I insinuated that in “this life is lived by both faith and works” but please show me where this is written in this article or my comments. Please read this too. Its called Who Goes to Heaven? Do Good People Go To Heaven? “In my eyes….” nothing, it is what God says. Where is the love of God? Look at the cross. I believe you may be creating a god in your own image. Thank you Mr. Hassan. Also, read this about homosexuals being “born that way” and if you are basing what is right from their being no “protection/commitment” then you are saying if your protected you can sin? Please read these…I am sorry, that’s a lot but we must study the Word of God to see what God says, not what I think or what you believe or what Oprah Winfrew believes (who also believes wrongly that there are many paths to God). I understand your concern that God might seem unloving if He allows people to go to hell. I thinks Pastor Jack answered your questions but you don’t seem satisfied with the, “The Bible says it so that settles it” answer. Unfortunately we in the West operate under a different cultural worldview from where the Bible was written…the East. More specifically the Middle East or the present countries of Egypt, Iran, Iraq, Israel, Syria, Jordan, Turkey and the Saudi Arabian peninsula. This culture was in our Western mindset “barbaric”, both during Bible times, and even today, outside of Israel. God in many folks’s eyes was also barbaric in His commands to wipe out whole cities when the Israelites came into the Promised Land. Many cannot conscience the complete destruction of mankind outside six people in the Flood, nor the complete annihilation of Sodom and Gomorah save four people. Where was God’s compassion in wiping out all of those babies during those two events? We, in the West cannot even relate the concept in our Western Bibles of what really happened when David conquered the cities of Ammon in 1 Chron 20:3. We sanitize it with 98% of our translations having David putting his captives to work whereas the reality in the Hebrew text is that he cut them to pieces(quartered them) and had others burned to death(pass through the brickkiln). Where was the love? The God of Abraham, Isaac, and Jacob is not a Kumbaya God. We wish and hope that He would be, but it just isn’t so. We have to wake up and understand that we, from birth, were God’s enemies. We inherited Adam’s nature and thus God’s enmity from the moment we were conceived in our mother’s womb. That adversarial position with God is what we inherited from Adam. The amazing thing that we come to understand through the Bible and direct experience with God is that while we were in this state of enmity with God, Christ died for us(Rom 5:8) He showed His Love through His action of the Cross. This was God’s transaction. His “offer”, His “only” deal to mankind. Take it or leave it. We were Ammon…the enemies of God. Sawing and burning awaits all of mankind because of our positions in Adam. We are all going to hell. No one escapes. God wins the battle in the end. The wondrous thing is that we can choose to stay with Ammon or join God’s side by accepting His terms for Peace. It’s His terms or no terms. God is Holy and we cannot approach Him as we are. Only a few will accept His terms. Broad is the path to destruction(Mt 7:13). All of these folks you mention will perish by refusing God’s terms. Is God unloving? A thousand times no! We deserve death…He offers life! We must accept Christ as our payment for terms, or go though the brick kiln forever. It is such an easy choice. Let God be God and please accept His terms. I don’t understand. I hear and see everywhere that everyone says that God sent Jesus to die to pay for our sins. But something is telling me that this belief has been misled. I mean, if you really think about it…. We are God’s children and He loves us so much. Jesus was God’s child who was going to save humankind and restore Heaven on Earth. But, Jesus was going to do this through life! Not through death. He was going to have a family on Earth, a wife and children, while he would continue to spread his love and message. It was supposed to be glorious and a victory. It doesn’t make sense why God would want to stop at where he was. He was betrayed, and then that is why he had to die at an early age. I understand that God, as a parent, would never ever ever send his child, especially the Messiah, to die. God would never do that. I think that he actually had a glorious plan for Jesus. But, He could not force this plan to work. And, as we all have free will, his discipline betrayed him. And when he was on the cross, I think God almost lost hope in all of humankind. But, right before Jesus died, he prayed to God and asked that He would forgive everyone and to continue to love them, those who betrayed him and God, and those who sent him to his death. I think that this unconditional love Jesus had for all of the people, even those who hurt and ultimately killed him, gave God the hope that he needed. I am trying to see everyone else’s side and perspective of this, but I cannot fully grasp it. I do not think that it matches God’s true heart and his true love for us. In John 10:17-18 He says, The reason my Father loves me is that I lay down my life–only to take it up again. 18No one takes it from me, but I lay it down of my own accord. I have authority to lay it down and authority to take it up again. This command I received from my Father.” So His death was no accident. It was voluntary. He was not forced to die. Galatians 3:13 Christ redeemed us from the curse of the law by becoming a curse for us, for it is written: “Cursed is everyone who is hung on a tree.” Every time you see this phrase, “for us,” it speaks of “substitution,” as in Romans 5:8 But God demonstrates his own love for us in this: While we were still sinners, Christ died for us. It wasn’t any third party that paid the price. God paid it Himself. God Himself gave Himself. No one can grasp this my friend…for God’s love is infinite or unknowable. Does this help you my friend in Christ? I am not sure where my comment went! But thank you for your response! However I found the truth. But it was not this.. Please keep an open mind and heart, and also think about God when you read my comment. Please pray to God and ask Him if Jesus was meant to die. God wants you to know the truth. Please.. Or even if you want to pray to Him that I will find the truth or something. Just any way that He can connect with you on this matter. Jesus’s true plan was beyond wonderful and by now the world would have been restored. Yes God plans for everything, but ultimately we still have responsibility and free will (as He gave this to us) so we still have the power to change things. Just as those who betrayed Jesus did. I will pray that you will find the answer. Thank you. I pray you will see the answer is already in the verses that I provided. If God didn’t intend for Jesus to die then God is not sovereign over all and if He is not sovereign over all He is not omnipotent and if He’s not omnipotent, then He’s not God. Jesus and the Father’s plan was fulfilled in Christ’s death on the cross. Which of these verses are wrong? These write-up clears a lot of issues. Well done Jack. It’s amazing to see like minded people working for this cause. God bless you. I have been going through your site and I will send you an email soon. Thank you for the encouragement Mr. Fidimaye. You are most kind. We both know however that all glory goes to God for anything we do (1 Cor 4:7). May God bless you for your other comments…I love learning from others. Thank you Mr. Neil. I agree. The world’s in a mess, but it won’t be forever (Rev 21:1-5). The Bible says that God so loved us, despite our sinfulness, that He gave His only Son, Who died a horrible death, but only His physical body, because He is also God and God as Sprit, cannot die. Read Romans 5:6-10 to see if this helps explain the gospel and why the Father had to go to such extreme measures for our sake. That’s why God’s grace is so amazing. It is astounding, incredible, and awesome to be sure. God allows it but what about mankind? Mankind’s not off the hook. We are responsible for the evil, not God, but God uses evil for good, and that good is eternal life for all who repent and trust in Christ (John 3:16; Mark 1:15). I hope this explains it all sir. I doubt that my comment will be approved but i just thought i had to voice my opinion. You may reply in private if you want. I still go to a Christian Church and I don’t regularly tell people about my belief system, my closest family doesnt even know as i cannot bare to tell them. Do i believe correctly? or should i screw my head on straight? Thank you Mr. Henry for your comment. As long as you believe in Jesus Christ, that’s all that matters. I used to be a bit of a writer myself. This makes any sense . We are talking about an ALL-POWERFUL God !!! If he wanted to forgive someone , he didn’t need anyone to die ! If you owe me a great amount of money , you can’t paid it and so I decide to FORGIVE your debt , I simply forgive it ! No one , neither you nor anyone else has to pay anything to me ! Hello Markus. This is why Jesus alone can redeem us back to God. God can forgive our sins, but the penalty is something we can’t pay, so Jesus did. Thank you for your comment.